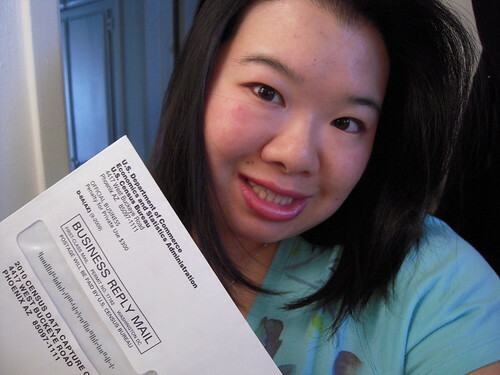 Joz & her 2010 Census form, originally uploaded by !!! :: jozjozjoz :: !!!. This is me just before I walked out of the house to drop my Census form off in the mail. of a dozen I tried to take of myself. Oh wellz.